KAMPALA – The chairman of the Uganda Investment Authority (UIA)’s board of directors, Mr Emely Kugonza, has clarified on the Executive Director’s suspension. 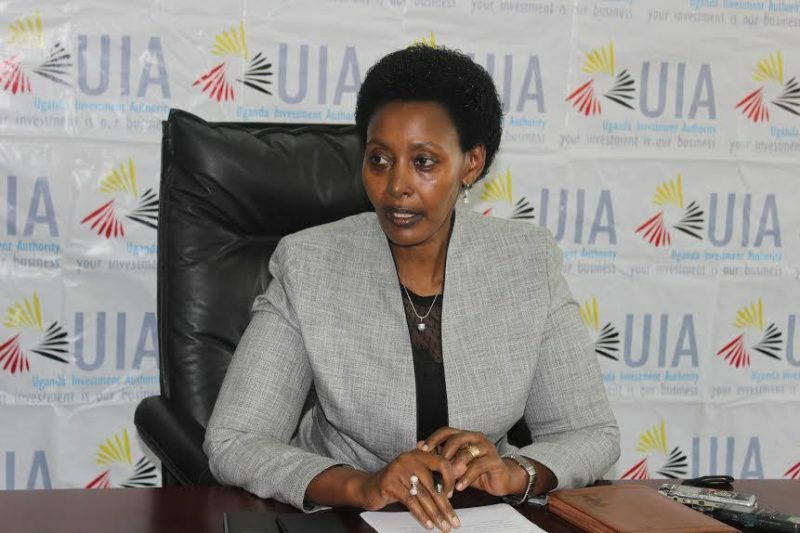 In a meeting held at the UIA offices, Tuesday June 26, the board agreed to suspend Ms Jolly Kaguhangire for a period of three months pending investigation. According to documents seen by PML Daily, Kaguhangire was suspended on grounds of abuse of office, closure of a public office without authorization and other corruption claims made by a section of the staff last week. Kaguhangire has been at the helm of the agency charged with marketing Uganda as an investment destination to both local and foreign investors since April last year. Her suspension comes just days after her staff petitioned the Inspector General of Government (IGG) claiming there was mismanagement of the agency, sectarianism among other anomalies demanding that their boss be investigated. In a letter addressed to the IGG, the workers said they were concerned by the way the Executive Director was spending public funds and pointed out cases of injustice and corruption. Speaking to a local television station on Wednesday, Kugonza said the board reviewed the situations surrounding the institution basing on what has been happening and took a decision to suspend the Executive Director for a period of three months. He explained that the agency has been marred with issues of impunity, abuse of office and failure to implement the board’s resolutions, pointing out irregular recruitment of staff and paying them salaries above their rank in the organisation structure as one of the cases. Kugonza said that when Kaguhangire was appointed she recruited her Executive Assistant and Personal Assistant who, according to UIA’s organogram, are low level staff but they were paid salaries at director and executive assistant levels. “These issues were brought to our attention and the board resolved to have them corrected but the Executive Director ignored,” he said adding that they have put in place a committee to look into the issues and her fate will be determined thereafter. Mr Basil Ajer, the UIA Director for small and medium enterprises was yesterday appointed acting Executive Director.